The upheld complaint alleged that the presenter did not adequately challenge remarks put forward by a contributor. 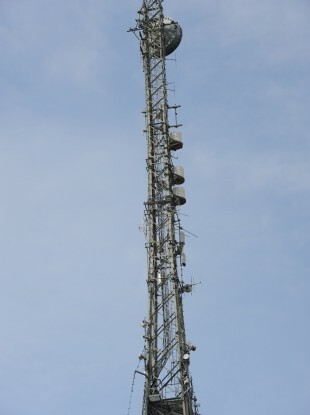 RTE's masts at the television studio in Montrose. THE BROADCASTING AUTHORITY of Ireland has judged that a segment on RTÉ’s Morning Edition about the Protection of Life during Pregnancy Bill lacked the required fairness. The decision relates to a complaint made about the 12 June edition of the show which discussed an Irish Times poll on the bill. The complainant, Anne Marie Stack, made a number of submissions about the show, including that criticisms of both the poll and the bill were not represented in studio. The complainant alleged that, in their absence, the presenter of the show had a duty to “represent their arguments and to challenge the prevailing and uniform view that was emerging from the three contributors”. While all current affairs programming must meet the statutory requirement for fairness, objectivity and impartiality, additional care is required on the part of broadcasters where the topic of discussion is a matter of current public debate and public controversy, including an issue such as abortion. The discussion of the poll included an interview with Michael O’Regan from the Irish Times. During the course of this discussion, the presenter put to O’Regan that a representative of the pro-life campaign had suggested that the questions in the poll were “leading”. This viewpoint was then dismissed by O’Regan as ‘nonsense’, ‘absurd’ and ‘regrettable’. The BAI felt that not enough was done thereafter by the presenter to ensure that there was an adequate alternate viewpoint to the one being put forward. A number of other complaints were made by Stack which were rejected. These complaints related to a subsequent discussion on the content of the day’s newspapers when it was alleged that the tone, language and demeanour of the presenter had given the impression that she supported the legislation being debated. It was also claimed that the presenter used the sentence “we must get this through” in reference to the bill. These complaints were rejected with the BAI stating that they found “no evidence” that the contribution of the presenter or panelists lacked fairness. In relation to the sentence complained about, the BAI took the the view that the presenter had misspoken and then corrected her comment, something that did not indicate bias. Email “BAI upholds complaint about abortion coverage on RTÉ's Morning Edition”. Feedback on “BAI upholds complaint about abortion coverage on RTÉ's Morning Edition”.